I'm sorry to say that over the years I am becoming increasingly bad at sending greetings cards at any time other than Christmas (I never have a problem with Christmas, they are usually in the post by the 1st Dec!) I could blame 'baby brain' or the slow postage from Cyprus or facebook for enticing me to send a message as a lazy way out but really its me being just a bit rubbish. 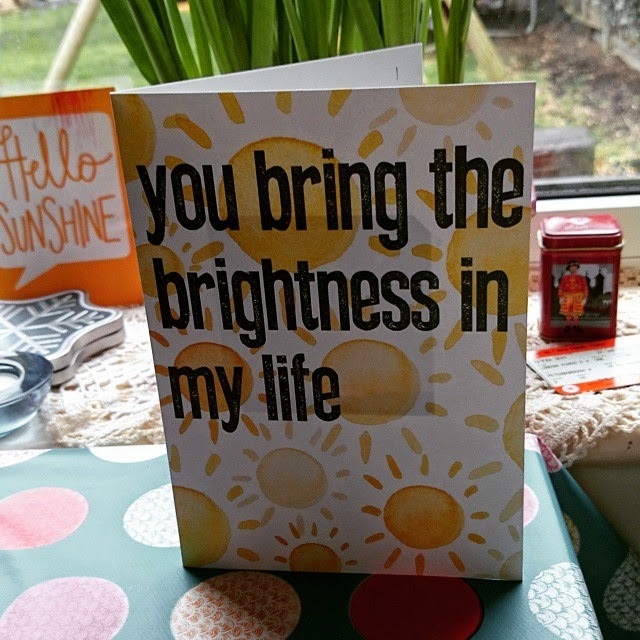 I have ordered cards online before and it makes sense, especially living in Cyprus and sending cards to the UK but I do miss the ability to write in a card as it seems to make it a bit impersonal when printed even if you have chosen the words. So when I was invited to try Inky Cards I jumped at the chance to see what they had to offer. Inkly Cards enable you to send a card via their downloadable app with the option to put your own handwriting inside. I downloaded to app via google play and it was so easy to use. There are 1000s of cards to choose from and you have the option to upload your own photos, apply filters and even put photos inside the card too if you wish. If you wish to add your own handwriting as I did, its very easy - just write your message on a blank piece of white paper, take a photo and upload it. The app then magically removes the paper and prints the message inside your card. 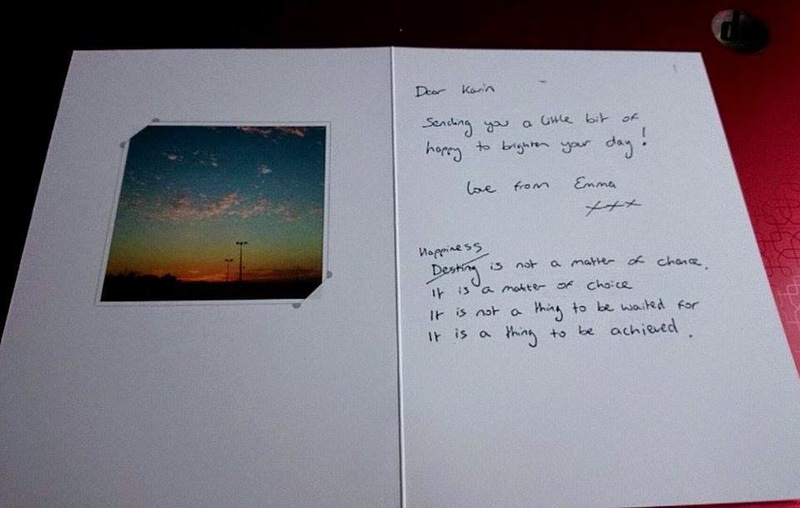 I decided to send my card to Karin as part of the #Embracehappy 'Happy Mail' challenge, using a combination of my favourite quote and the whole idea behind #Embracehappy - just in case you thought I'd not bothered to rewrite it after making a mistake! It was so easy to add the hand writing, and if you use an ipad you can even have a handwritten envelope. Another great aspect to the app is the ability to not only store the birthdays and events for future use but if you wish you can connect to facebook and receive birthday reminders with sugested cards based on age, gender and their relationship to you. The cards are well priced, and generally cost less than it would to buy a card here and post it to the UK - of course you get the added bonus in that they are printed in the UK so you don't have to try and guess how long it will take to arrive. I will certainly be using Inkly Cards again - now I'm just off to connect to facebook to remind me! I was provided with an offer code to order a free card for the purpose of review but the opinions are all my own .